Minimum Effort: The wad is put in the cap by the manufacturers. 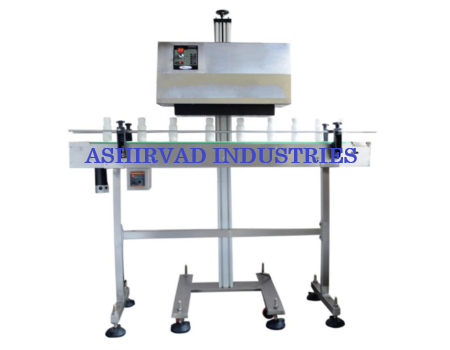 Thus the filling line requires only the Induction Cap Sealing equipment to be installed. Indirect Heating: Induction heating allows heat sensitive products such as creams, petroleum product, pesticides etc. to be sealed faster and safely than direct heating which would normally spoil or catch fire. Power Characteristics 230 Volts, Single Phase, 50 Hz. Water Circulation System Consisting of MS Powder coated tank – 20 ltr. 1/8 Hp. Water pump, Flow Switch. Input Specifications Cap Die between 10mm to 53 mm.